(1) When Dutch colonists came to Taiwan in past, they transliterated the original name of aboriginal people, the Babu tribe, into Dutch language. The names「sorean」, 「soared」, 「sorean」, 「soeron」, 「sailei」, 「sairei 」 or「saili」 and many more emerge from documents of that period. (2) The name “Xiluo” was mentioned for the first time in the maps of Taiwan during the reign of Emperor Kangxi of Qing dynasty. According to the ancient name of Beitou town in Zhanghua county “Dongluo” (which means “eastern shell”), Xiluo (“western shell”) was so called because it was placed almost equidistant from it if Zhuo Shui river was taken as the symmetry axis. Moreover the name “Luo” was presumably inspired by the name “Zhuo” as they sound similar. (3) In 1740, on the fifth year of Qianlong reign, when Liu Liangbi revised the “Annals of Taiwan government”, he came in contact with records about “Xiluo street” and “Xiluo village”, which means that at that time the town was quite developed. 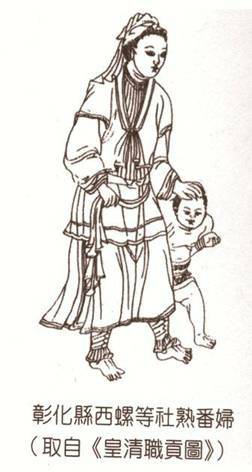 (1) The Majority of the early inhabitants who came to Taiwan were Han tribes from the Fujian Province in Hui’an county in mainland China, also called Luo Yang. So in order to honor their hometown name in mainland China, they called the new place “Luo Yang”. (2) It depends also on the Zhuo Shui river location which is in the middle of Taiwan. In ancient times Xiluo was called “Shan Nan Shui Bei Cheng Wei Yang”, which means “Place called Yang located between northern mountains and a southern water”. Although nowadays Xiluo is displaced in the south of Zhuo Shui river, in the past the main branch had many smaller streams. 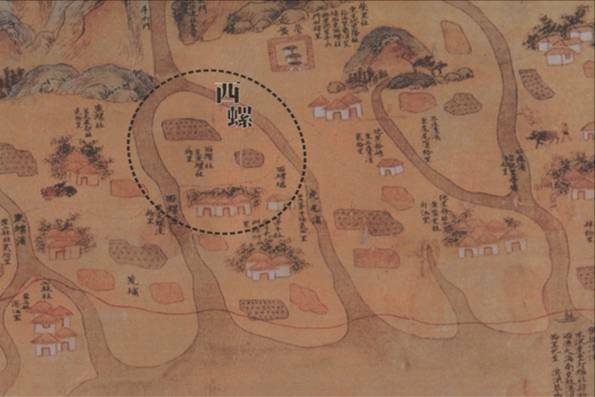 So when Xiluo was called with this ancient name, Luo Yang, maybe the town was located in the north of the river. Yunlin County is situated in the south of Taiwan's largest river, Zhuo Shui River. Since ancient times, given that the land is fertile and rich of minerals, its population started growing significantly. During Dutch colonist period (1624), Babu tribes, the aborigine people of Xiluo, settled at Hanguang. Xiluo started to develop very early. On the 22nd year reign of Kangxi, Emperor of Qing dynasty, Taiwan was a Qing territory and Xiluo was assigned to Zhuluo county. In the first year of Chinese Emperor Yongzheng’s reign (1723), a request came to assign Xiluo under the jurisdiction of Changhua County.The Zhang Liao family from Zhao’an in Zhangzhou county in mainland China, under the lead of Ken Wangyucheng, settled and started to build their first establishments in the north-central part of today’s town, Guangfu, Yongan, Zhenxing, Zhonghe, Fuxing, Guanghua and Zhongxing. Later on, this place was extended even more, when Zhong, Li, Lin, Wu, Cheng and Chen clans also came to settle here. Dating back to the sixth year of Emperor Qianlong reign (1741), some records of the government of Taiwan about Xiluo account for continuous inundations caused by the heavy rain of the typhoons that came that year. For this reason Guangxing Gong Temple, Fuxing Gong Temple, Jialanye Temple and Shizitou Tudigong Temple were rebuilt after the typhoon destroyed the original ones. Since the first developed areas of Xiluo, the Eastern market and the Vegetable market were located nearby the river so that people could easily use both land and maritime transport. When shops in Eastern market were built, the population started to move from the north-east area of the town to the south-west. Guangxing temple was built in 1769 at the end of the new street which was extended from the Eastern market area to the south. In 1895, during the 28 years of the Meizhi reign, Taiwan became a Japanese colony. Because of Taiwan's climate (4 seasons) and rich harvest, Japanese government increased Taiwan’s contribution to the Emperor of Japan. In order to acheive a complete colonization, education and culture development were strictly regulated. 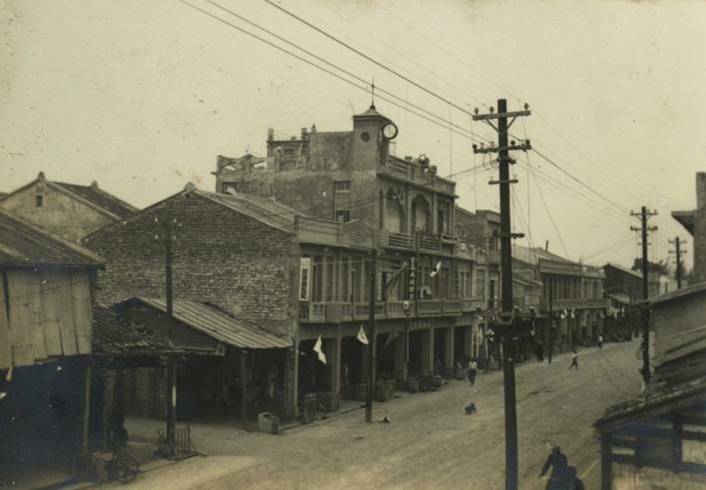 In 1899, Yunlin Post office was established in Xiluo together with the telecommunication bureau and the Police Office. In the same year, Xiluo public school started to collect students enrollments. 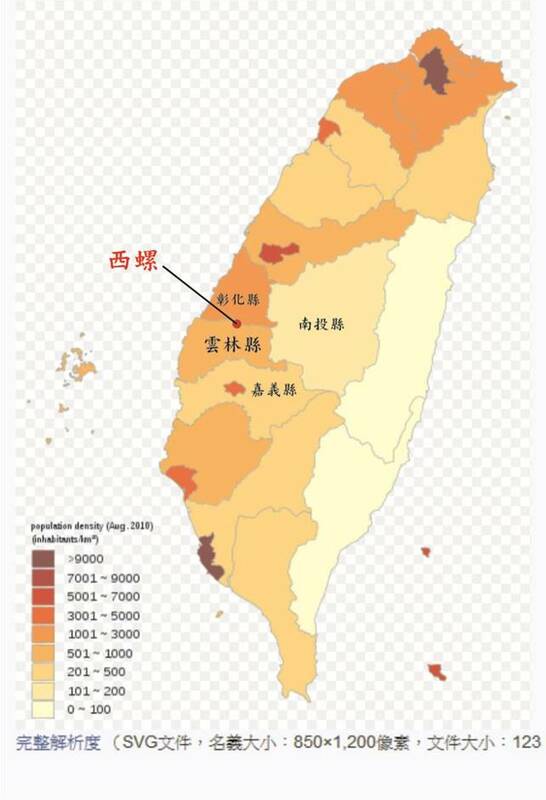 In the 6th year of Dazheng dynasty (1917), the Xiluo bank, the Automobile Company, the Taiwanese Commercial Bank, the Police station, Women’s school and many other infrastructures were established one after the other. In the 12th year of the Showa reign, a lot of public areas were repaired and reconstructed, including Yanping road, which was straightened and widened. Adding piers to Xiluo Bridge and maintaining the farmland made Xiluo a modern and convenient agricultural town. The years of 1899 – 1940 are considered the golden age for its development. In the fifth year of the Showa reign (1930), once Jia'nan water irrigation was completed, water could flow equally through the farmland which benefited the rice production, turning Jianan into the rice granary of the valley. This rice was named “Gift rice” in honor of the Japanese Emperior, which became famous in Taiwan. Convenient farming conditions, such as the quality of water, climate, temperature and humidity, helped raise the production of agricultural products (like vegetables, dried beancurd, soy sauce, pickles, mochi...) which became even more successful after the technology upgrades. Still today, Xiluo's soy sauce, vegetables, soybean hulls and other products are of the highest quality in Taiwan. Xiluo is located in 23°48 ' north and 120°27 ' east area, situated in the northern part of Yunlin County. It borders with Zhuo Shui River and Changhua County to the north, Citong to the east, Erlun to the west and Huwei to the south. The town’s area is about 4.993 hectares, set in Zhuo Shui River alluvial fan valley. Xiluo is situated in the Zhuo Shui River alluvial fan valley, not exceeding 40 meters in height, which decrease progressively from the east to the south. It’s about 9.4 km wide from east to west and about 10.9 km long from north to south, with a total area of 49.7985 square kilometers (about 4,993 hectares). 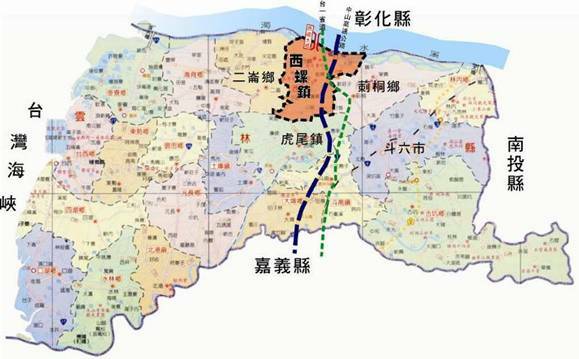 Xiluo township occupies the area of about 3.858% of Yunlin County. Xiluo’s weather is subtropical with monsoons - mainly in the period of June and September. The average temperature in January is about 16℃, average July temperatures rise up to above 29℃, and average annual temperature reaches above 23 ℃, which is suitable for crop production throughout the whole year. A pleasant climate with not so strong winters. Xiluo’s area is plain, without any mountains to rely on, so no orographic rain occurs here, although monsoons still prevail. Climate airflow doesn’t stay here, the rainfall is less heavy than in the hills. The main rainfall is concentrated during the months of summer (April to August), autumn and winter are less rainy. That’s why it is necessary relying on irrigation to maintain crop growth. Thanks to the location in Zhuo Shui’s River alluvial valley and its flat terrain, Xiluo has really excellent facilities for irrigation and drainage. The soil in the west is recognized by the government as the most suitable farmland for agricultural production, and the agricultural land surrounds about 74% of the total area. Xiluo is one of Taiwan's most important agricultural production areas. Xiluo’s population started declining significantly in the last years. From the initial number of 50,198 residents in 2002, only 47,798 remained in 2012, and the average age has been rising every year since then. Among the 27 Xiluo’s districts, the 3 most populated ones are the districts Han Guang, Zheng Xing and Zhong Xing, while the 3 least populated places are Yong An, Zhong He and Fu Xing. 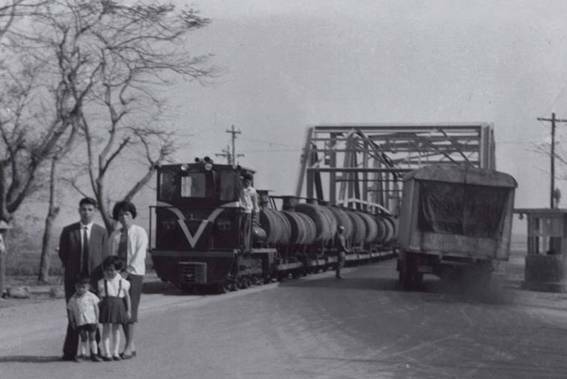 In the times of Japanese occupation, Xiluo was divided in districts based on the population distribution. The most populated districts were Yong An, Zhong He, Fu Xing and Guang Hua, where the cultural development was more prosperous. Due to changing times people moved away from the countryside and the population decreased. The development of these four districts stopped and resulted in urban decay. Nowadays this four districts count 3,371 people, not as much as in the only Han Guang district (5,161 people and more). The growth and the decline of every Xiluo’s district population is a clear index of the city development and of the state of affairs movement.